Where do I start? I have so much to say about Girl Online, and I have a feeling this might end up being one of my longest reviews yet. I think I'll just dive straight in. Bear with me. I have ALL THE THOUGHTS. When I first heard about this book, I knew I'd be able to relate to it a lot. As you'll know if you've read this post, I've suffered from anxiety and panic attacks for a couple of years now and, clearly, I am a blogger. Well, the main character in this book, Penny, is exactly the same. That probably doesn't mean much to you, but I found it so relatable I was mentally highlighting entire paragraphs (as if I'd write in the actual book.) Seriously, a lot of it could have been about me. Have you ever read a book like that? It's really, really weird. And do you want to know something saddening? In the two years I've had anxiety, Girl Online is only the second book I have read that tackles the issue, and the first book I've read that actually does the topic justice. Sugg also has anxiety, so this is no surprise. I think to have someone shining so much light on anxiety when they know exactly what it's like, and having the book aimed at younger people, is so valuable. She's not guessing what it's like to be filled with anxiety all day every day, she knows it inside out, and I have no doubt in my mind that this will help millions of people going through the same thing all around the world. Not only does Sugg have anxiety, she is also a blogger - obviously - so, again, there was no guess work there. She gets it completely. I'm so done with books about bloggers written by people who don't actually know anything about it, so this was hugely refreshing and I wholeheartedly appreciated it. I also liked the various subplots, from Penny's best friend Elliot being gay and dealing with his homophobic father, to the brief references to one of the characters having depression. It sounds heavy, but this has been written in a way that all of these things can be taken seriously and given the attention they need while the book is still fun to read. An extract from Penny's blog, one of my favourite pages. Now, there's a point in the book where Penny gets a lot of hate from people. I won't talk about that much because I don't want to ruin it for you, but I felt so much sympathy for her that it was overwhelming. I think this was one of the most well written parts, actually. As someone almost constantly in the public eye, Sugg has this happen to her in real life every single day, and you could tell this came from the heart and from her own experiences. There is one thing I don't like about Girl Online, although it's a very small thing and hardly worth mentioning. When asked what fictional character she would bring back to life if she could, Penny said it would have to be a certain character (named in the book, but I'm not spoiling it here!) from The Fault in Our Stars by John Green. If you've read it, I'm sure you know what character she named. It just shocked me a bit when I read that sentence because that's a massive spoiler and, while I'm sure most people know who dies in that book, a lot of people won't. So, if you're planning to read The Fault in Our Stars and Girl Online, maybe read The Fault in Our Stars first. 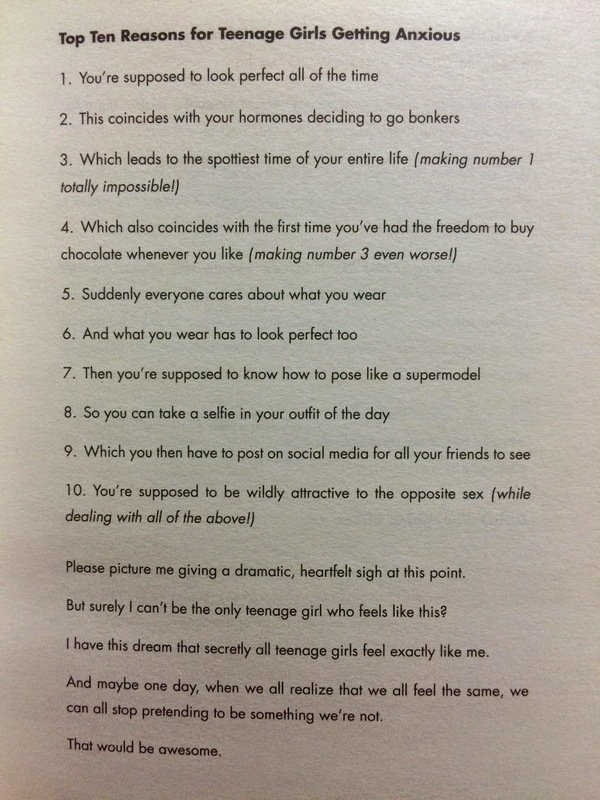 There has been lots of speculation as to whether Sugg actually wrote all of this herself or if it was ghostwritten. Sugg came up with the plot and the ideas, but it was indeed ghostwritten and I know who actually wrote it. In respect of everyone involved, that's all I'm going to say about that. However, Sugg's personality really does shine through and, despite the fact that she didn't write all of it herself, I was constantly hearing her voice in my head as I read, and it was so....her. It doesn't really bother me whether she wrote all of it or none of it or just some of it, but I know some people will feel differently. I do think Girl Online is very well written and, while the beginning seemed a little uncertain (the last half of the book was definitely better, in my opinion) it was really good. I was very excited to read this book, but I didn't think I'd enjoy it as much as I did. I seriously recommend it. Sugg doesn't know me, and technically I don't know her - just the ten minutes of footage she shares with her viewers each week - but we're both bloggers, albeit at opposite ends of the spectrum, and I'm incredibly proud of her. 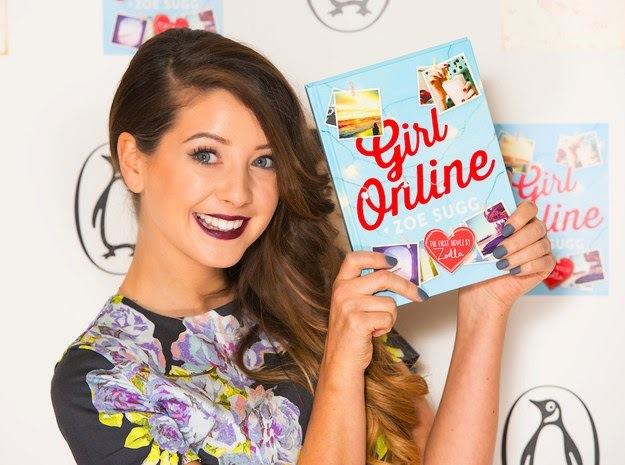 It's amazing to see another blogger publishing a book and becoming so successful, especially when the book has the ability to help so many people and it's not just a standard autobiography or something like that (although I'd be interested in a Zoella autobiography as she leads a very different, interesting life.) I think the fact that she went for fiction instead of non-fiction, like most YouTubers, shows just how passionate and serious she is about this. Lots of people seem to think she shouldn't be allowed to have a book out because she's a YouTuber. I say, why let yourself be limited to just one project? Readers are also being critisised for enjoying Girl Online for the same reason. Here's what I think: person writes book. People enjoy book. That's a thing that is allowed, just saying. You can see my video discussion about that by clicking here. All in all, Girl Online is excellent. Whether you like Sugg or not, or if you've never even heard of her in the first place, I highly recommend that you give this a go. It might just surprise you! Fun, relatable and in some places heart-wrenching, this has Sugg's name written all over it and I am very much looking forward to the second book. My amazing mentor at Penguin surprised me with this signed and dedicated copy of Girl Online as she knew how much I was looking forward to reading it! 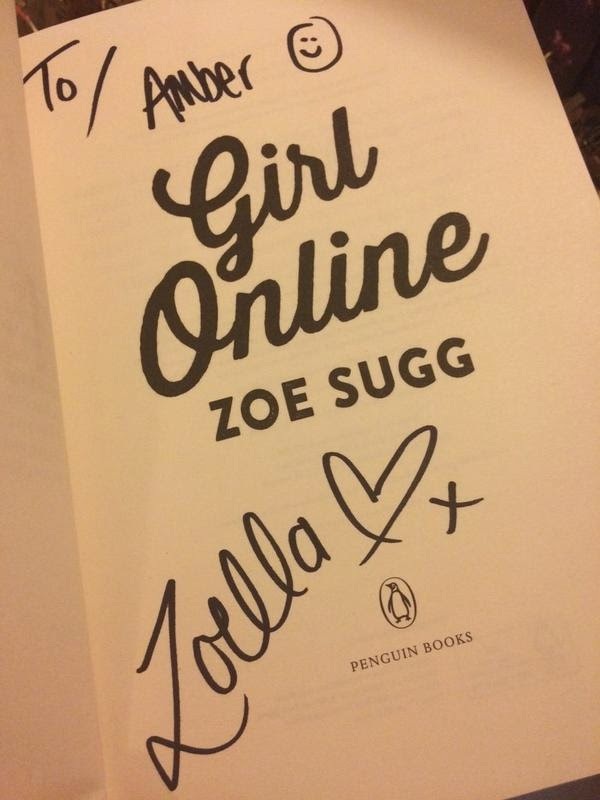 This is probably a good time to say that despite already being a big fan of Zoe and despite having a signed copy of Girl Online, this has not affected my opinion of the book in any way. I will always be honest with you, no matter what. 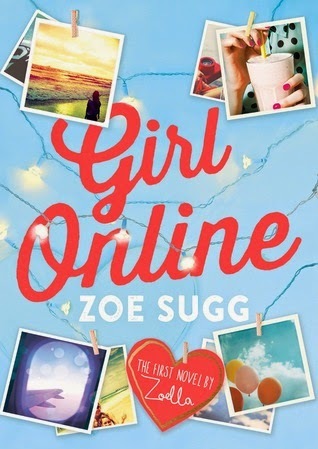 As much as I love Zoella and Girl Online, I'm extremely disappointed that Zoe's novel was ghost written. I think Girl Online was a wonderful novel that offers girls great advice on bullying, panic attacks and love, but I think Zoe should have at least said that she co-authored this book with someone else. Because she is a YouTuber who has developed a sisterly relationship with so many viewers, I think there's a certain level of honesty expected from her end. To me, saying that she has written a book when really someone wrote a book off of her ideas crosses that line. I still adore Zoella and love Girl Online, but I'm just extremely disheartened that she's claiming to have written something that wasn't truly penned by her. I'm glad you liked Girl Online too :) I thought exactly the same about the honesty thing but, thinking about it, she's bound by a contract, as is the ghostwriter, so I think both of them are just doing what they have to do. Awww I'm so jealous of your signed and dedicated book! I LOVE Zoe and I must admit that as soon as I found out she was publishing a book I was SO excited to read it. I agree with you on the anxiety front aswell! As someone who suffers with it, it's so great to be able to read a book that handles it so well and since Zoe always has issues with panic attacks and anxiety it's nice to know that there is someone who understands it and I think it's such a great thing for her to let younger girls know through this book and her youtube channel that they're not alone. I totally agree with your review, being an anxious teen vlogger myself. As a big fan of TFIOS, it never dawned on me that Girl Online might spoil it for someone who hasn't read/watched TFIOS. Thank you for mentioning that. I'm quite disappointed that Girl Online has a spoiler in it! Spoilers aside, I love love loved Girl Online. There were so many laugh-out-loud moments, especially where Elliot (my favorite character) was concerned. It was so relatable and dealt with all sorts of serious issues while also being light-hearted and hilarious. I loved Elliot SO MUCH. But by then it was too late for me, as a reader, to feel emotional attachment/sympathy for him. And Penny's problems solved themselves way too easily.